Midlife is often the point where people feel trapped in their work or their relationships. It is no coincidence that more divorces take place between people in their 50s than at any other age. Often, by this time the children have left home, and the couple finds they no longer have anything in common. Moving on and reinventing themselves is generally the best option for both parties. That can be easier said than done, but there are three traits that, if you can master them, the new version of yourself will emerge unscathed. Making major changes in your life, such as a new home, job or partner can leave you feeling very alone for a time at least. You do eventually get used to the alterations you have made, but in the meantime, you need to have people around you that you can rely on to be there if you need support. Reinventing yourself involves both independence and dependence. You need to be self-reliant but never afraid to ask for help when you need it. You will find the steps forward you have made either very exciting or very scary. Those that are feeling full of enthusiasm for the ‘new me’ will find that are very resilient when unpleasant comments are made, as usually they are from envious people who have not had the courage to reinvent themselves. However, if you are feeling worried about the changes you have made, you may find you are left feeling empty and depressed every time something does not go quite as you expected. In this situation, you need to dig deep and find some resilience and then you may start to enjoy your new beginning. When you have been in the same pattern of life for many years, it is not always easy to make changes. People who have always worked find it hard to imagine doing anything else, and people who have been married for years can be frightened about being alone. You need to be flexible in your approach, as many people find the changes they were so scared of are actually the best thing they ever did. Not everyone in midlife feels the need for change, which is why you get people that have been married or in the same job for 60 years or more. Also, not everyone makes the changes by choice, they can be forced upon them and then they are more difficult to cope with. Whatever the reason, if you need help coping with a ‘midlife crisis’ get in touch with us today to arrange an appointment with the finest psychotherapist in NYC. Midlife is often the point where people feel trapped in their work or their relationships. 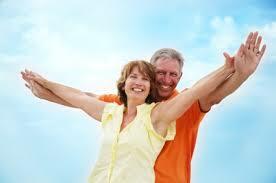 It is no coincidence that more divorces take place between people in their 50s than at any other age. ← How Do You Feel About Thinking About Your Future?